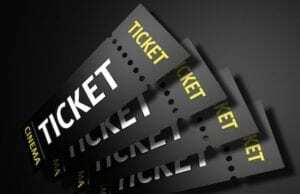 For Season Flex Pass Patrons: The Box Office opens and seat selection for Season Flex Pass patrons will begin at 7:00 a.m. on Saturday, 12 days before opening night of each production. This provides Season Flex Pass patrons fivedays of early access for preferred seat selection. For General Public (those without Season Passes): The Box Office opens and tickets will be sold to the general publicbeginning at 7:00 a.m. on Thursday, one week before opening night of each production. 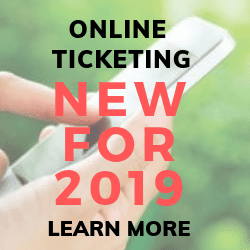 Purchasing your ticket before a performance is recommended. However, walk-ins are always welcome. Doors open 45 minutes prior to curtain time. Just check in at the Box Office to inquire if seats are available. Evening performances begin at 7:30 PM. Doors open at 6:45 PM. Sunday Matinee performances begin at 2:00 PM. Doors open at 1:15 PM. Click here for general admission ticket prices. Click here for the prices for purchasing a Season Flex Pass or Opening Night Gala Subscription. 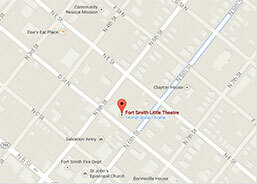 Click here for a seating chart of our theatre. ©2019 Fort Smith Little Theatre. All Rights Reserved.